Niche markets can very quickly evolve into mainstream markets if the conditions for growth and accessibility of price points play out just right. 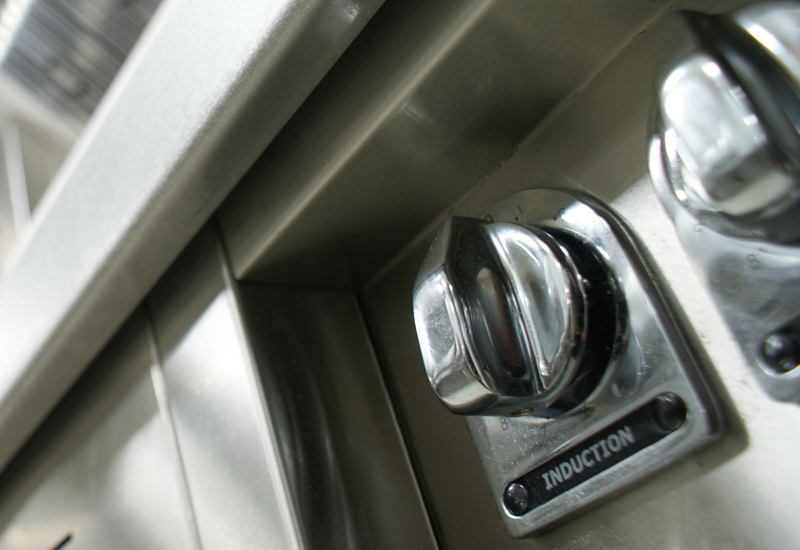 Induction technology is one sector that fits into this bracket, transitioning from the exclusive tool of the high-end chef to an application now common in commercial kitchens. Some experts recall being able to count their direct competitors on one hand; now they can cite more than 40 brands providing induction. 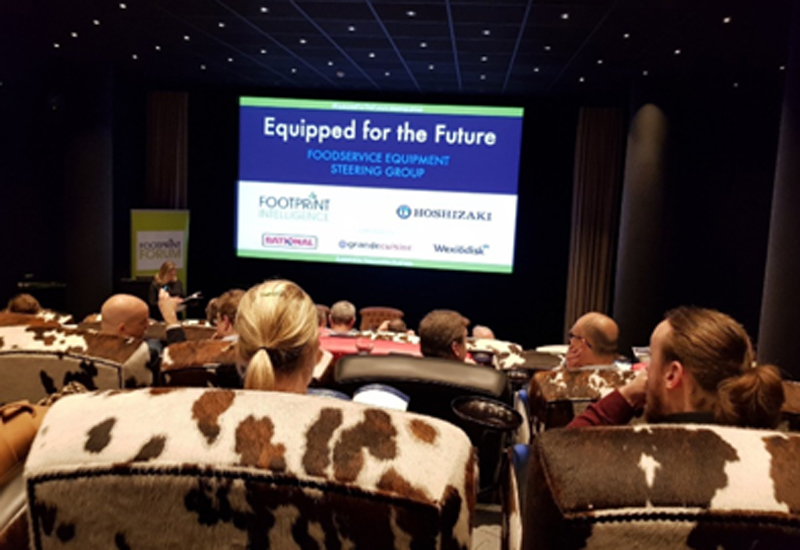 One of the overriding arguments for induction is its energy efficiency credentials, with rising energy costs and the need for operators to act more responsibly only serving to enhance this quality. 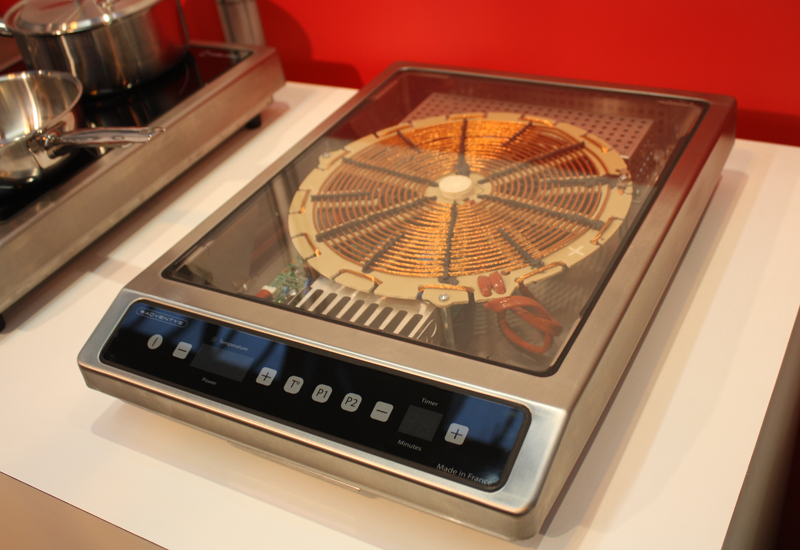 Geoff Snelgrove, managing director at Control Induction, says traditional electric and gas stoves are often as little as 20% efficient when used for pan cooking, which has played into the hands of induction. “What makes the induction so efficient for pan work, relative to the alternatives, is that it can only use significant energy when there is a pan in place on the hob, while the alternatives can use energy continually, with or without a pan,” he notes. While induction, in the main, is the most efficient means of heating, until it is understood by purchasers that the CAPEX is only 15% of the cost of equipment over a 10-year lifespan, there will always be concerns over the initial investment, suggests Nic Banner, sales director of Induced Energy. “Caterers need to look at the OPEX figures, and other gas-associated costs such as extraction, replacement air and gas cut-off equipment, before making their final decision. 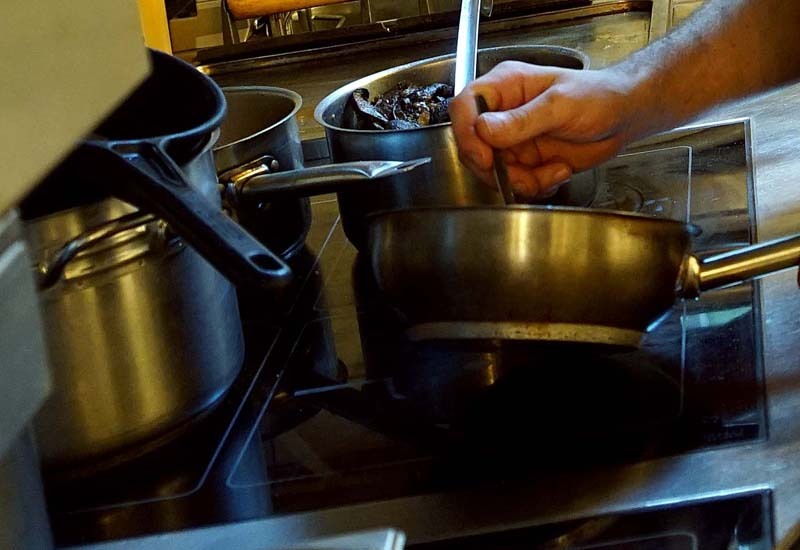 In addition, in a kitchen with higher ambient temperatures associated with traditional cooking methods, induction is very likely to cut the ambient temperature, therefore your refrigeration is not working as hard and your staff are less tired,” he says. Cooking suite manufacturer Charvet offers a range of high quality induction solutions and, according to sales director Ian Clow, operators appreciate the fact that payback with these units, in terms of energy saving over the long term, easily justifies the premium compared with conventional hobs. 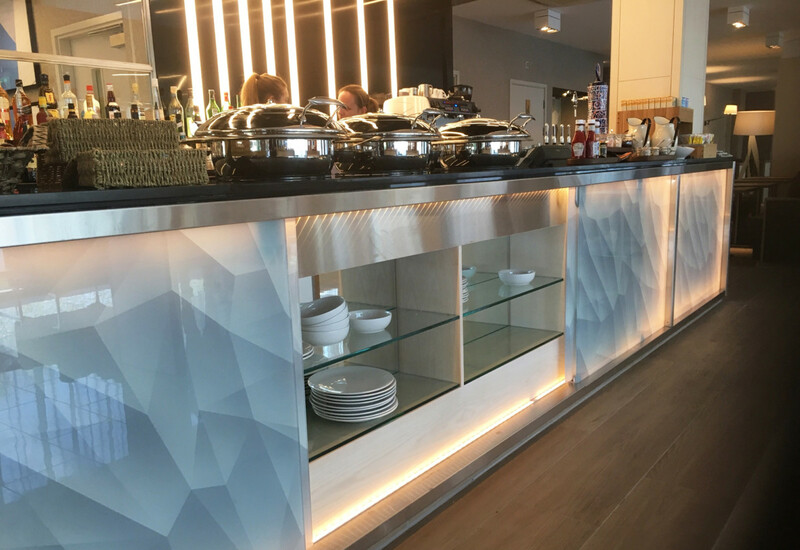 “High power and heavy duty in a modular small footprint format is the preferred choice because it provides the maximum flexibility for changes in the menu,” he comments. 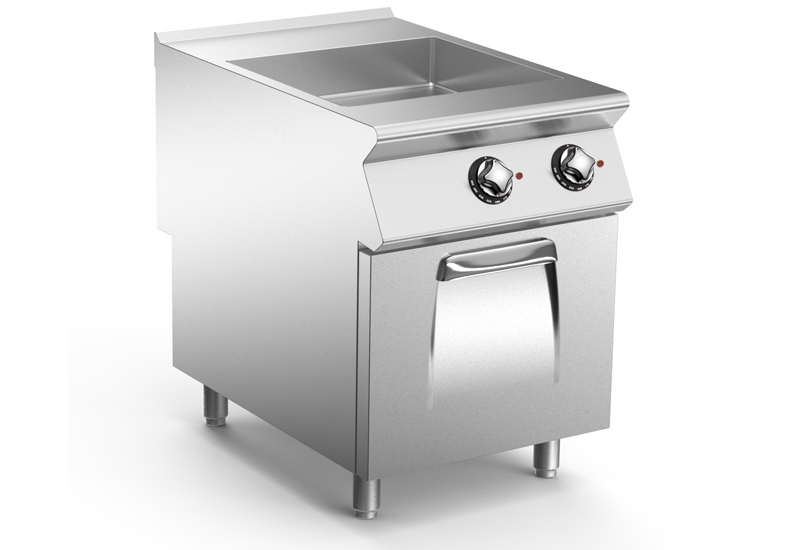 “Induction ranges are the first choice for high street chain operators, especially when working alongside combis. The chains want easy clean hygiene, reliability, a good working life and excellent technical support with that high productivity. MCS Technical is one of the most established suppliers of induction cooking equipment in the market, with US brand CookTek among the products it distributes. “Induction is between 85% and 94% efficient depending on the quality of the brand — CookTek is 94% efficient,” says managing director Steve Snow. For all the ability of induction suppliers to talk up the merits of the technology, and widespread recognition that it is considerably more efficient than gas, the lack of any independent standards criteria remains a frustration for some. One of the issues, says Hobbs, is that that there are too many variables. For example, the quality of the pan used in a test can have a significant influence on the result. Therefore, for a test to be fair the same quality of pan would need to be used throughout. “It would be very useful to have a universal measuring standard for induction appliances so that claims can be verified and standards adhered to,” admits Hobbs. The lack of standards is something that the industry will need to address, but for the meantime it does not seem to be holding the market back. Suppliers report growing interest in induction from sectors that previously wouldn’t have considered it. “We are seeing an increasing number of our units being installed into the education sector — universities in particular are more open to the benefits of induction technology,” comments Induced Energy’s Nic Banner. Induction is also prevalent in other areas where you might not expect it. Look at CookTek and its hot bag delivery system, for example. 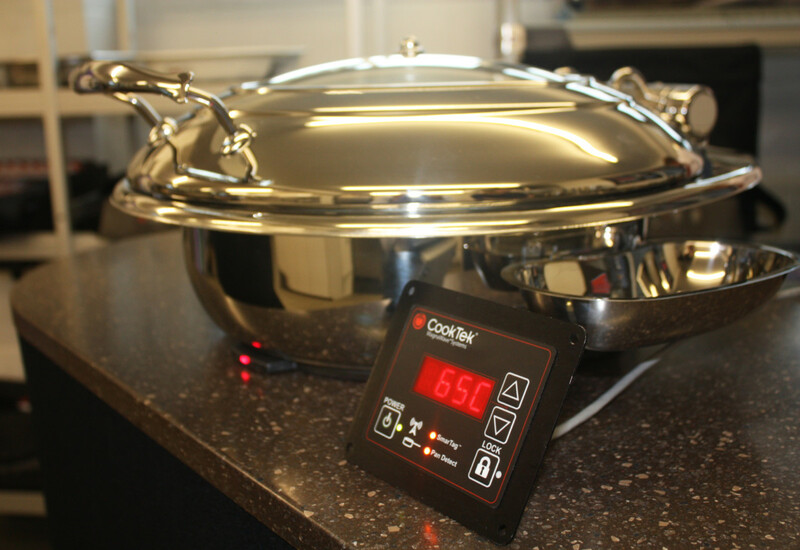 “CookTek has always been a leader in innovation — 19 years ago it introduced the induction-based heated bag for pizza, eliminating all cold deliveries of pizza. And 10 years ago it developed the hot bag delivery system for food, allowing the hot delivery of foods such as burger and chips, fish and chips, Italian, Chinese and Indian foods,” says Snow. 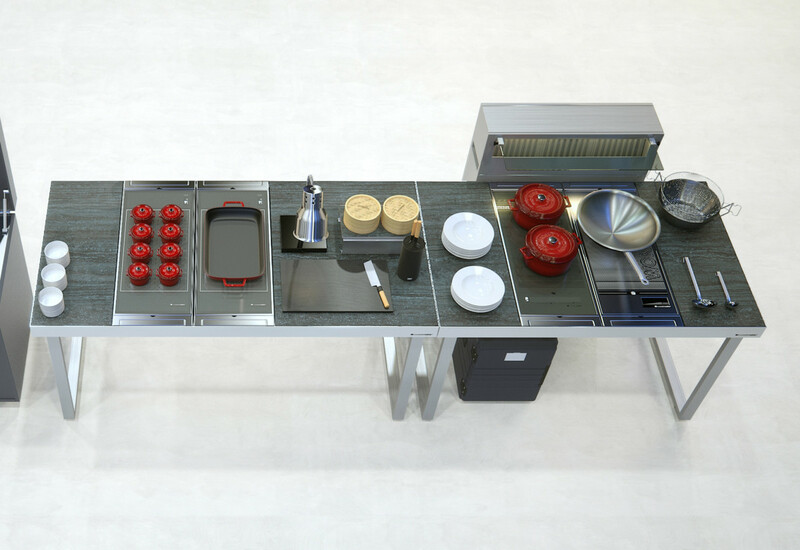 Meanwhile, Signature FSE is seeing its German brand livecookintable used for front-of-house cooking applications. Managing director, Paula Sherlock, says hotels, caterers and sports arenas are now keen to use induction this way. A well-designed induction hob, featuring high quality components and a careful build, will last far longer and therefore deliver greater value over its lifespan than an inferior unit. 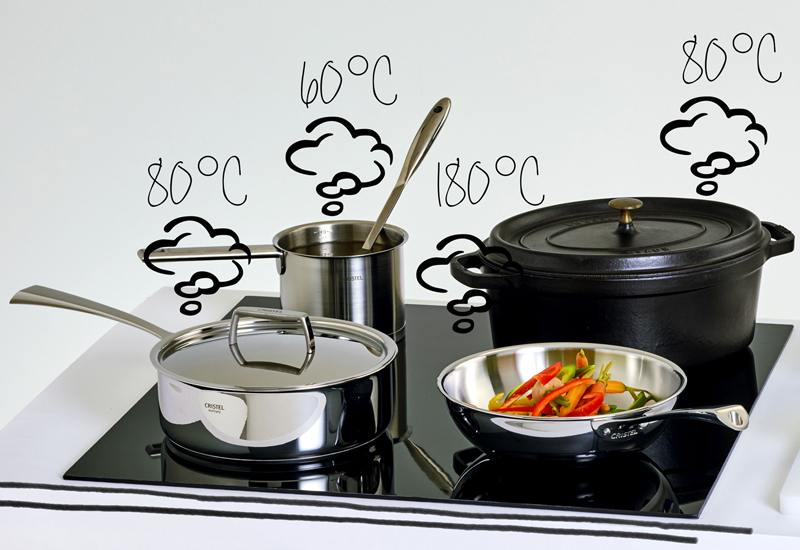 “Things to look out for on induction hobs include the thickness and resilience of the glass; sufficient air flow to protect against overheating; and an easily accessible air filter for cleaning,” advises Lincat’s Applewhite. Operators should spec induction based on their own needs rather than adopting a one-size-fits-all approach, advises Control Induction’s Geoff Snelgrove. Ultimately, says Steve Hobbs, the principle that the more expensive the product, the better it is likely to be, is certainly true of induction and induction products. “Generally speaking, inexpensive units do not perform as well as expensive ones. Price is always important and if the client’s only concern is price then their investment will not benefit the business — the old adage of ‘buy cheap, buy twice’ is true. In business it is not possible to get a lot and only spend a little. However, this focus on price alone is changing and increasingly lifetime cost and energy efficiency are being considered as operators look more towards striking a balance between capital investment and ongoing operational costs. It is also important to know who is producing the technology and how it is being incorporated into a piece of equipment,” he concludes. What developments can operators expect in induction beyond 2018 and is there anything on the horizon that will potentially disrupt the market? Geoff Snelgrove, Control Induction: Wireless technologies and more programmability of cooking surfaces to improve control and flexibility of the induction cooktops will potentially disrupt certain sectors of the induction cooking market. Nic Banner, Induced Energy: There is a need in the market for a more affordable range of induction to make the induction market all-encompassing. There is an abundance of equipment at both the entry level and high-end specifications. However, there is very little mid-range induction to give operators with more than a few covers the equipment they need at an affordable price. Induced Energy has recently introduced the QX range to try and combat this. Steve Hobbs, Grande Cuisine: Electric-based solutions are becoming more popular as energy efficiency continues to climb the list of priorities and even though we are still approached by clients looking for a solution that balances gas and electric components, more often than not they will opt for 70%-plus electric, sometimes even 100%, once they have compared the relevant benefits. In addition, gleaming environments packed with as many components as possible are slowly giving way to carefully-balanced solutions that optimise workflow, heat management and maintenance. In terms of ‘disruption’ then you can expect to see more and more manufacturers moving into the market, increasing the number of options available and driving down the cost. Glenn Roberts, CESA: The R&D teams are working on equipment solutions to develop kitchens that produce 20% more output from 20% less space. To achieve this, the integration of technologies is a key driver. We think that the further integration of induction into cooking equipment other than hobs will continue to provide quicker cooking. 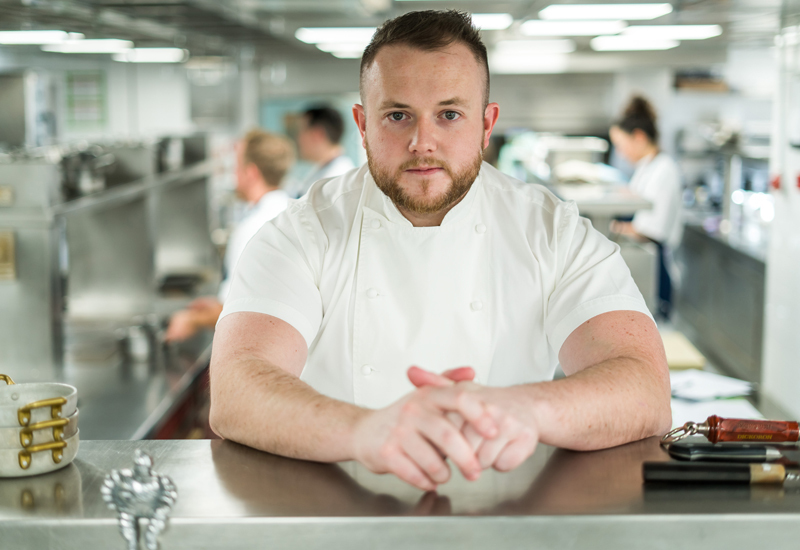 Top chef Aiden Byrne is an advocate of induction and uses two portable Pantheon induction hobs at his gastro pub, The Church Green, in Cheshire. He places importance on their versatility. “They can be sited anywhere, including front-of-house, as long as there’s an available power point and, of course, they can be used for any type of cooking without generating unnecessary heat. They’re reliable, easy to keep clean and give us the means to try out different dishes on the menu without overwhelming the main cooking line.” As well as this, he regularly uses the appliances for cooking at food festivals because they are easy to transport.